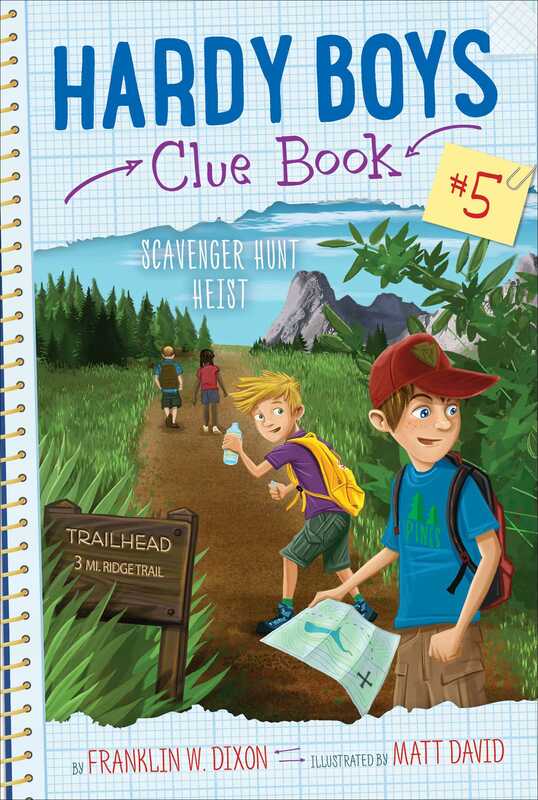 Detective brothers Frank and Joe must solve another intriguing mystery in the fifth book in the interactive Hardy Boys Clue Book series. Frank and Joe are excited for the class trip to Bayport Bear Park. When they arrive, the entire class is greeted with a beautiful sight: a pile of prizes and goodies in the middle of the room! Their guide, Marnie, explains that they will be split into teams to complete a scavenger hunt through the park. Whoever solves the clues the fastest will win all of the prizes. But after they come back from solving the first few clues, the entire pile of prizes has been destroyed, with half of the loot completely missing! Can Frank and Joe figure out who the Treat Thief is and save the trip?